A robbery victim was assaulted as he fought off an attempted late-night robbery in Elk Grove just before midnight on Friday, July 13. 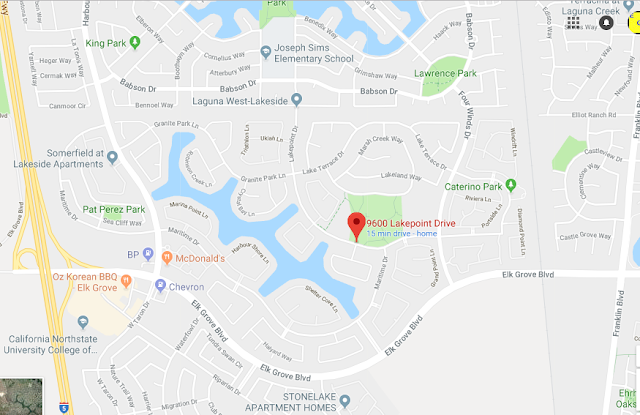 According to Elk Grove Police, the male victim was on the 9600 block of Lakepoint Drive in the Lakeside neighborhood on the city's far west side when a vehicle approached him, and one person exited, approached him, and demanded his property. When the victim refused to relinquish his possessions, the suspected robber pushed him and attempted to rip his pocket in an attempt to steal the contents. The second suspect then joined the assault and punched the victim in the face. After they were unable to steal the victim's property, the suspects fled in their vehicle. The suspects were described as Black males ages 17 to 19.